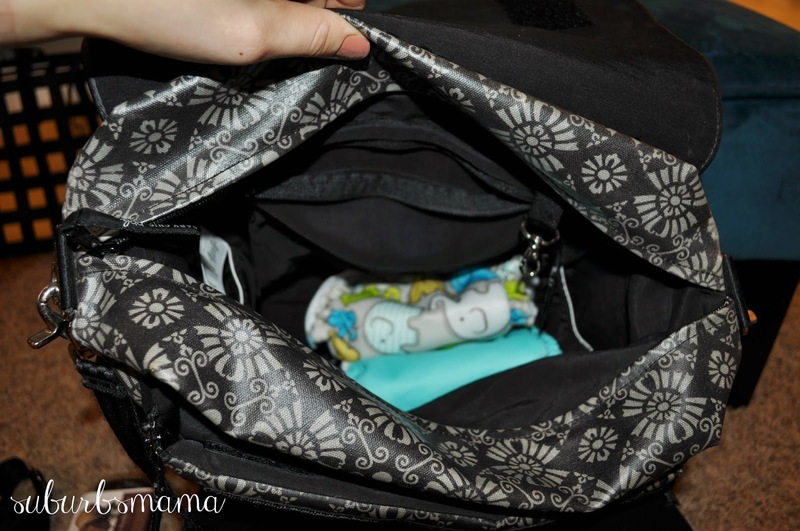 Suburbs Mama: 4 Diaper Bag Reviews. After I posted my Hospital Bag post, I got a request to share my thoughts on my diaper bags. I would love to, since I heavily rely on reviews myself. 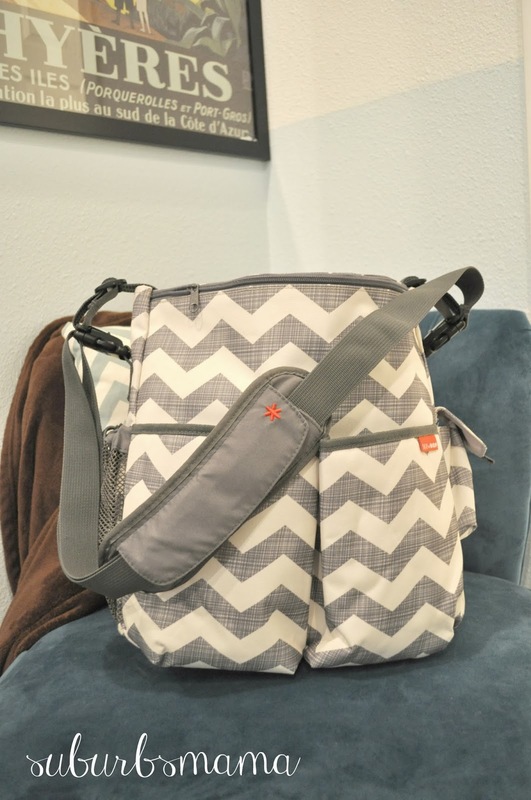 After two kids and another on the way, I have gone through a few diaper bags and I kind of know what I want and look for in a diaper bag. As you can see, all of my diaper bags are very neutral. It doesn't matter if I have a girl or boy, I will not buy a pink or blue diaper bag. It is MY bag, I will be the one carrying it (a lot of times instead of a purse), so it needs to be neutral. The other thing that is very important, it needs to be comfortable, roomy and easy to clean. So lets get started in the reviews. Amazon has this in the black color, I got this bag at Nordstrom 6 years ago when I was pregnant with my daughter. 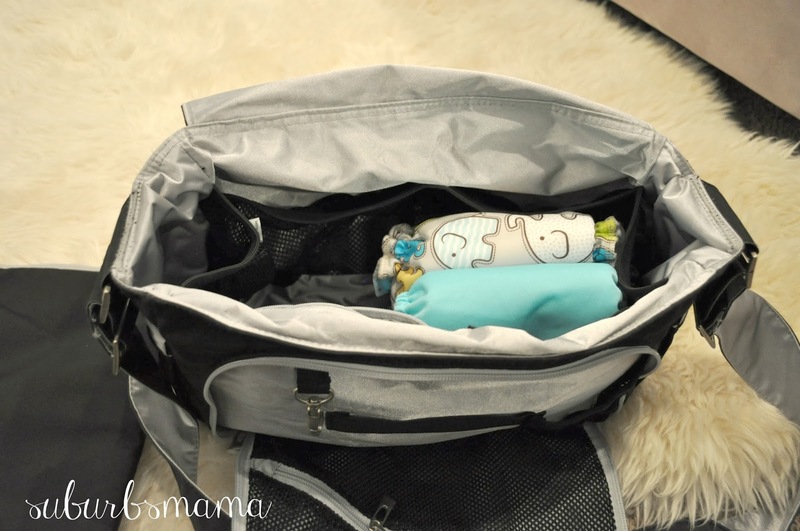 I used this diaper bag with my daughter and my son. Exterior slip pocket; mesh zip pocket under flap. Interior zip and mesh pockets. 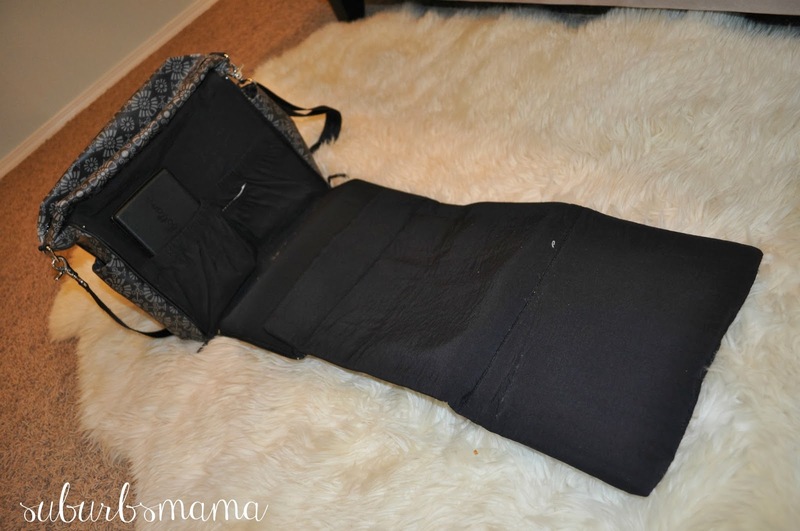 Coordinating Memory Foam changing pad and zip pouch. Lots of pockets and a changing pad. Am I the only one who finds those changing pads useless? I always keep a receiving blanket to change my baby on, I feel those changing pads are so small. There are a ton of pockets everywhere. It is easy to clean the bag, I have even thrown the whole bag into the washer and dried it outside. I like the fact that it is a messenger, and it is easy to carry with a small baby. The messenger strap is very soft and does not dig into your shoulder. I love the insulated bottle bottle pockets to keep drinks cold/hot. However, my only complaint is that it is too small. Especially since I am cloth diapering. 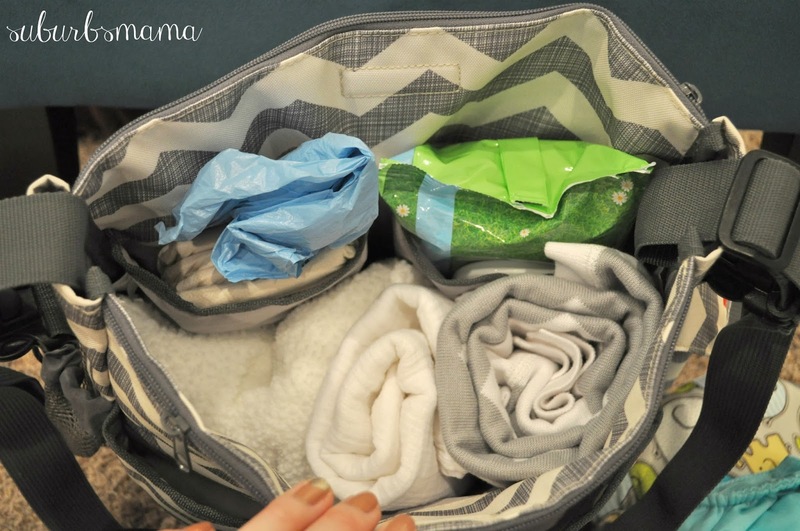 If you are not cloth diapering, then this bag would be great for you! However, I am keeping this bag because it is great for short trips (2-3 hours) liked going to the mall, out to eat and such. Coated cotton canvas; wipe clean. It comes with back pack straps, and I bought the stroller straps to go with this bag, It is annoying that you need to pay more money for stroller clips, when you already pay so much for the bag. Honestly, I feel that the "back pack" feature is really not useful I used it as a backpack when flying with the kids solo, it kept slipping of my shoulders and was too uncomfortable. The changing pad is actually attached (velcro) in the front pocket, which makes it bulky and annoying. I mean, how often are you going to have this much room to change the baby. 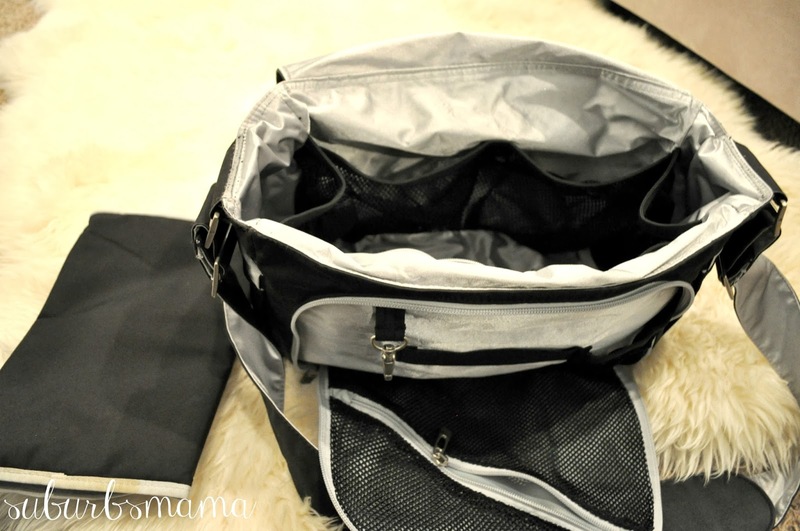 This diaper bag is my least favorite because it is very boxy and bulky. Textured vinyl with smooth leather trim. Double shoulder straps, 10 1/2" drop. Nylon lining; interior zip and slip pocket. Includes changing pad and stroller clips. 13"H x 14"W x 7"D.
This has stroller straps attached! Awesome! I bought this bag because it is big! 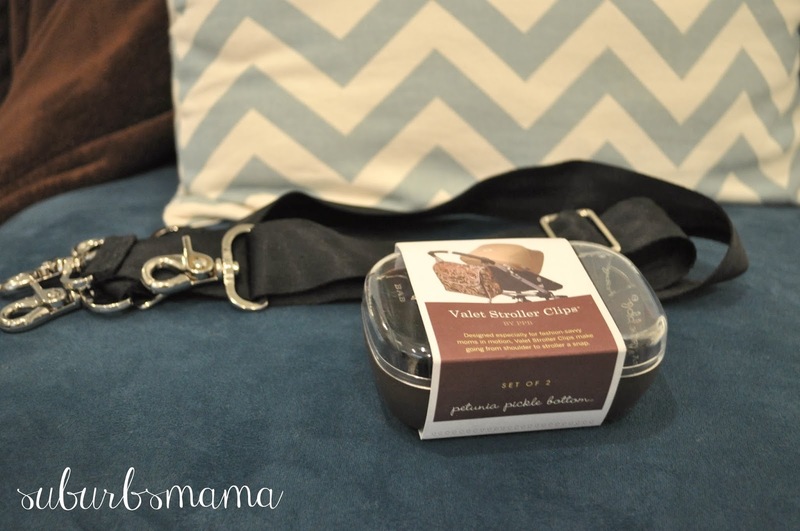 Perfect for all of those cloth diapers, It is great for all day trips. The only downside, is that there are no bottle pockets. It would be nice to have at least one, so I don't get any spills. 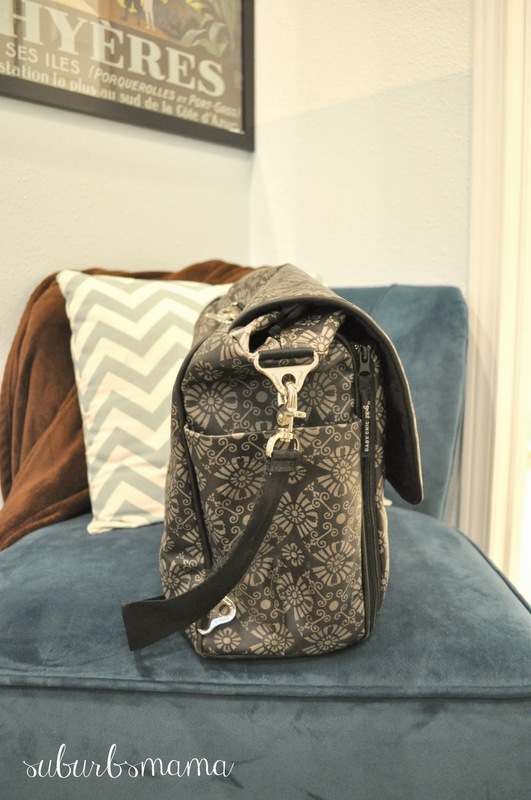 But with a fully packed diaper bag, it is easy to tuck in a bottle in a corner, so it is not a deal breaker for me. 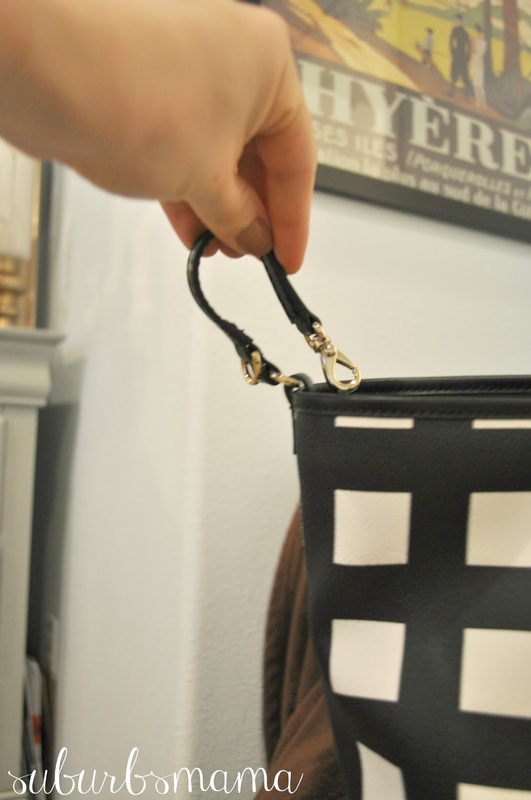 It has only a shoulder straps, no cross body strap. But on a full day trip, I would most likely have this diaper bag strapped to the stroller, so I would not have to carry it. I like the tote bag style, which means I can pile it high with things and not worry about a flap shutting. 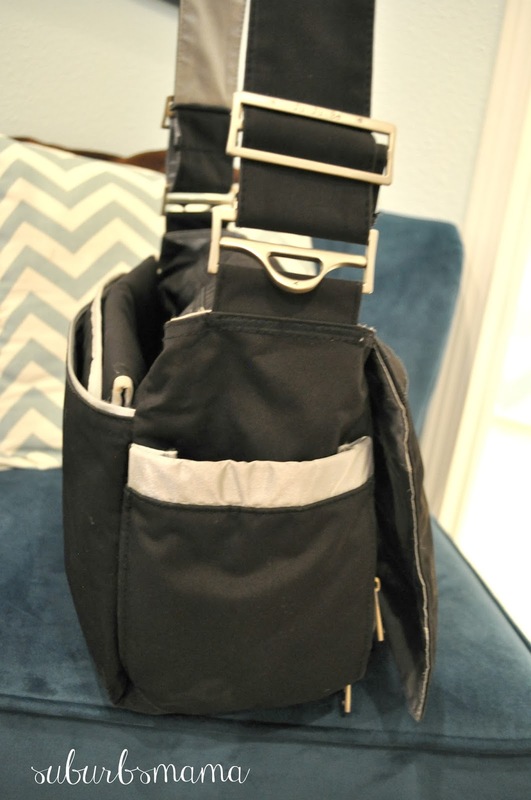 Innovative Shuttle Clip design allows both the stroller straps and the shoulder strap to be attached at the same time. Two large outside pouches, adjustable mesh bottle holder and side phone holder. Outside back pocket with waterproof changing pad. Two easy-access top zip pockets. Two inside pen and organizer pockets. I bought this diaper bag for this baby. So I have not used it yet. 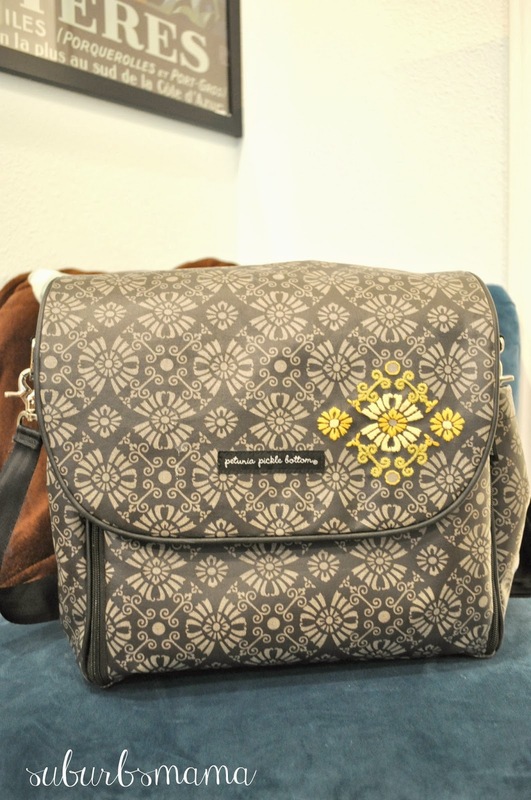 But I love that it is so light, it is a messenger style, and has a ton of pockets. This bag is not very big, so it is not for a full day trip, just for a few hours. 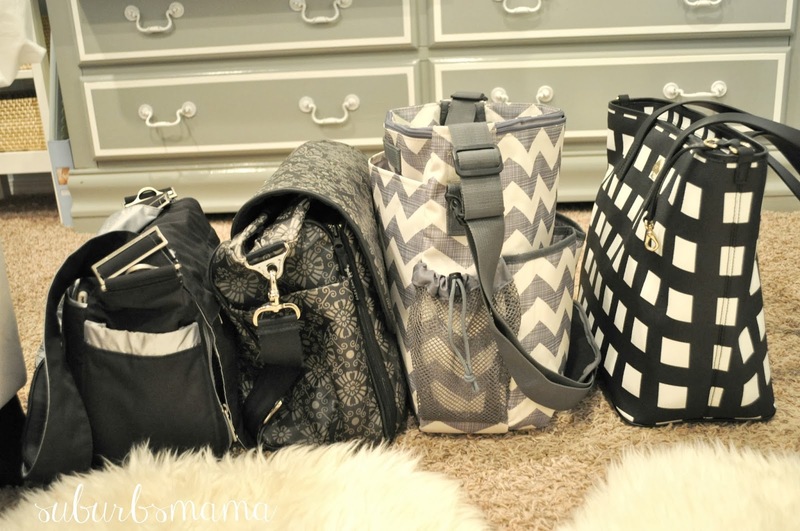 Now, if I had to choose ONE diaper bag out of all of these, I would choose the Skip Hop one for short trips and a big Tote style diaper bag, like the Kate Spade one for all day trips. These are nice collection of the bags. Multiple zip bags are very comfortable for me. So I always prefer them. In it easy to find things and it can easily manage your stuffs. Yes!!! 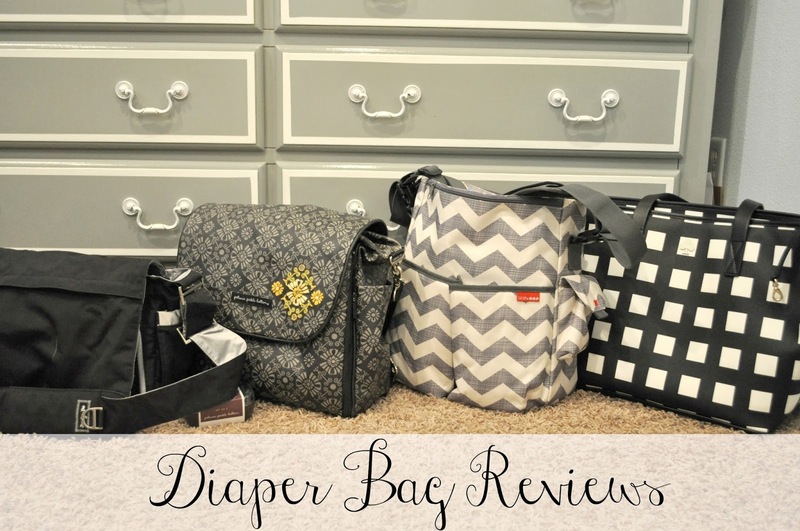 for me I had to choose ONE diaper bag out of all of these, I would choose the Skip Hop one for short trips and a big Tote style diaper bag. 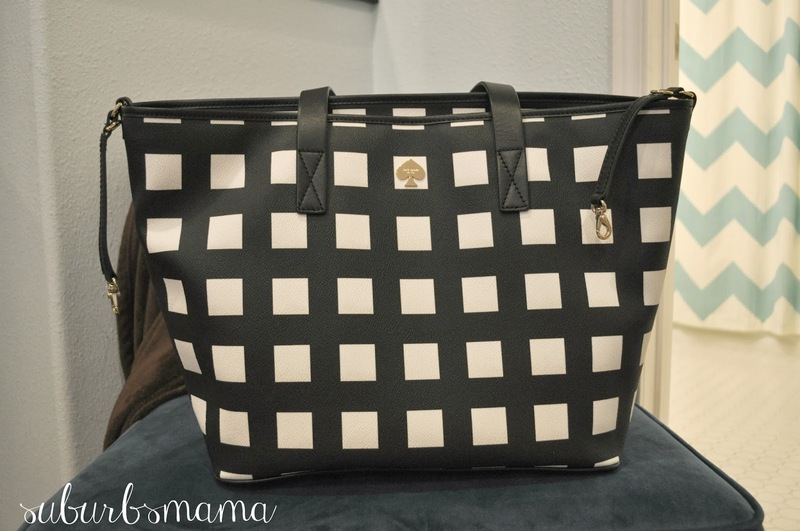 Yeah you are right that this branded Kate Spade Baby Bag looks great on all mummies. 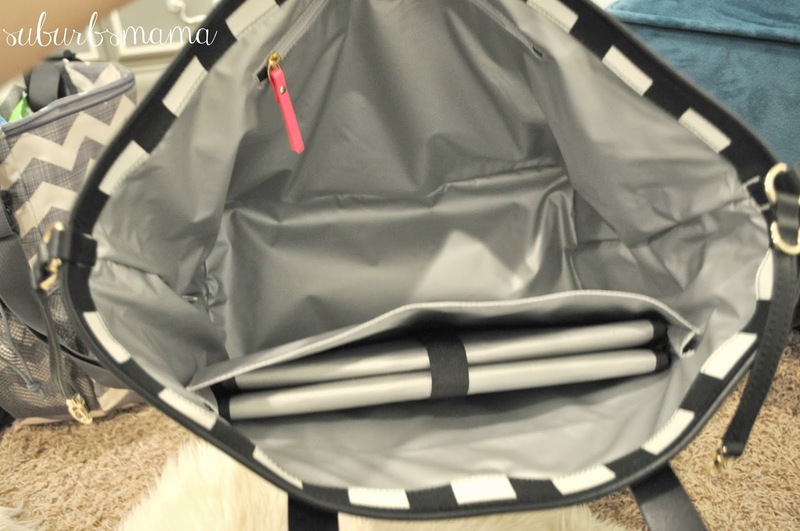 These bags are very strong and large in size to carry all stuff easily.